Most lawyers, myself included, will tell you that some of their most rewarding work is done for free – also known as pro bono. For the last two years I have had the honor of championing a cause led by a remarkable group of people who knew that one chapter in African-American history should not be closed. 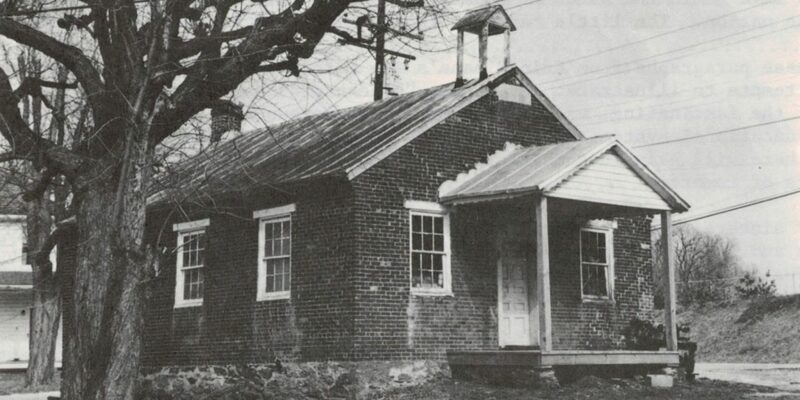 Tucked at the corner of Bark Hill Road and Raywell Avenue in Union Bridge, Bowen’s Chapel was once the hub of activity. 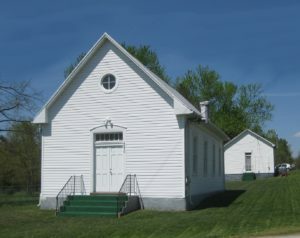 The one-room structure, built in 1867 with Freedman’s Bureau funds, evolved from a schoolhouse to a cherished church (formerly called Bark Hill Methodist Church) and then to a church with a community center. The memories linked to Bowen’s Chapel are as vibrant as current plans to turn it into a nonprofit and a museum for generations to explore. This 150-year-old legacy’s promising future is born from a history and a community of people that would make fantastic movie fodder, if not a book. The David and Goliath theme in Bowen Chapel’s story involves the African Union First Colored Methodist Protestant Church and Conference (Goliath) and resilient people like “Miss Muddy,” Evelyn and George Howard, Union Bridge residents and descendants one of the original owners, Tambra Powell, her husband Mike Powell, and her sister Anita Brooks (whom I consider The Davids). The Davids successful lawsuit ensures ownership remained theirs and the chapel’s history will continue to unfold. “They just kept going,” said Dorothy Brooks Brown, or Miss Muddy, as her family and friends affectionately know her. The parishioners of the Bark Hill Methodist Church just kept going with their efforts to get through life and to worship in the small chapel more than 100 years ago. She also used this phrase especially in reference to Evelyn and George Howard and their fight to keep the church alive despite dwindling attendance more than 20 years ago. The Powells and Brooks just kept going when the Conference of the African Union First Colored Methodist Protestant Church, based in Wilmington, Del., threatened to take this property out of their hands by filing a lawsuit claiming that the Conference was the rightful owner. Indulge me while I toss in some legalese: The matter has now been settled by way of a Consent Order, which appoints Tambra and Anita as successor Trustees under the original deed of 1867, and which dismisses the claims of the Conference. Over the past three years, while the case was going on, Tambra and Anita have fostered relationships with the Pipe Creek Friends Monthly Meeting of Quakers, and with the Union Bridge Area Heritage Committee, both of whom have provided invaluable assistance and support during the legal battle, even going so far as being willing participants in the lawsuit. And other Brooks family members, namely Miss Muddy and her daughter Juanita, came out to help as well, and to participate in the case. The Rev. Douglas Sands of White Rock Independent Methodist Church provided words of encouragement along the way, as his church had faced a similar threat in the past. And there were some behind-the-scenes supporters whose combined efforts helped to achieve this victory. Together with Sykesville’s Colored Schoolhouse, the chapel is one of approximately 20 stops listed in the brochure “Carroll County African American Heritage Guide” recently published by the Maryland State Highway Administration. Some wonderful film footage of the Brooks family can be found in the film produced by the Carroll Media Center entitled The Rock of Our Ancestors. I hope you will check it out. Mimi Ashcraft, a local researcher and writer who pens columns for the Historical Society of Carroll County, along with local journalists and The Washington Post have captured the Bark Hill story accurately and poignantly. I hope you will read their articles, too. Now comes the exciting part—to develop a plan to see the Bowen’s Chapel goals come to fruition. If you are interested in being a part of the remarkable effort to preserve the property as both an historical and educational resource for the citizens of Carroll County, reach out to me. Help provide a sanctuary for the historical artifacts and stories of the African-American population in the Union Bridge area. Your time and ideas are welcome. You can contact me at my email address: stacy@shafferandshafferllp.com.